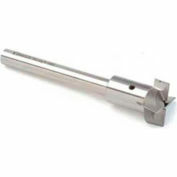 HSS Import Interchangeable Pilot Counterbore, Straight Shank HSS, 3 Flute, 13/16"
HSS Import Interchangeable Pilot Counterbore, Straight Shank HSS, 3 Flute, 1/2"
HSS Import Interchangeable Pilot Counterbore, Straight Shank HSS, 3 Flute, 23/64"
High Speed Steel TMX Interchangeable Pilot Counterbore with Straight Shank. 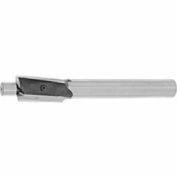 HSS TMX Interchangeable Pilot Counterbore, Straight Shank, 3 Flute, 13/16" cutting diameter x 5/8" shank diameter x 3-7/8" shank length x 5-3/8" OAL with 1/4" pilot hole diameter for pilots 5/16" to 3/4". 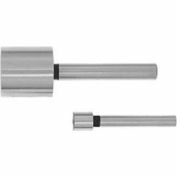 HSS Import Interchangeable Pilot Counterbore, Straight Shank HSS, 3 Flute, 19/64"
HSS Import Interchangeable Pilot Counterbore, Straight Shank HSS, 3 Flute, 15/32"